Stimulate and awaken all of your senses with our Peppermint herbal goat milk soap! This glorious morning addition, is sure to add a pep to your step and brighten your day! The creamy goat milk lather moisturizes and nourishes your skin while the small bits of peppermint help to gently exfoliate! A pretty pink color with a rich minty aroma, makes this soap perfect for display too! 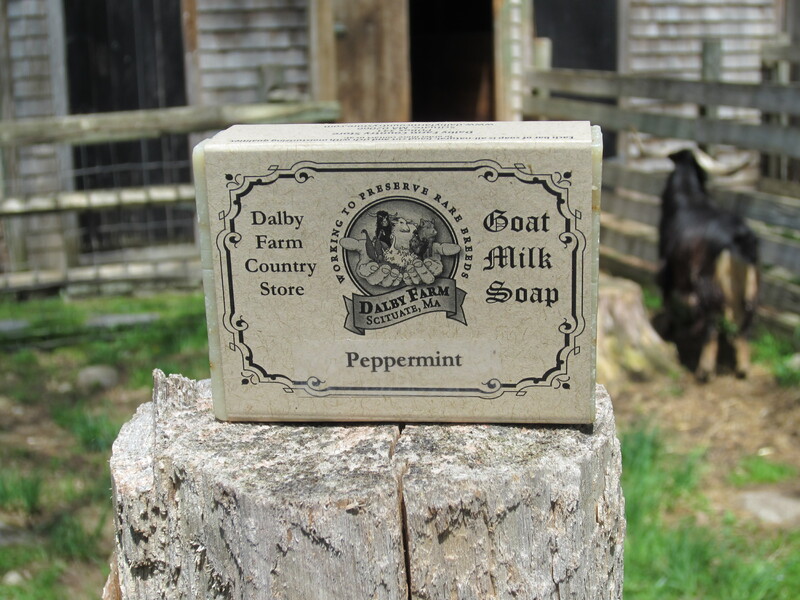 Our Peppermint herbal goat milk soap is made using fresh goat milk and natural, moisturizing oils and butters. It is free of alcohols, detergents and harsh chemicals. Our soaps are made with seasonal ingredients in small batches and are hand-cut into bars. As a result, there may be very slight variations in color, size and shape between bars. Each bar is at least 4.25 ounces when cut. The ingredients in Peppermint herbal goat milk soap are: Fresh goat milk, oils of olive, coconut oil, palm oil, castor oil, almond oil. Shea butter, essential oil, madder root.